In 2008, the World Wildlife Federation challenged individuals and large businesses to shut off the light for an hour. The event had originated in Australia in 2007 and was expanded to the world upon its success. 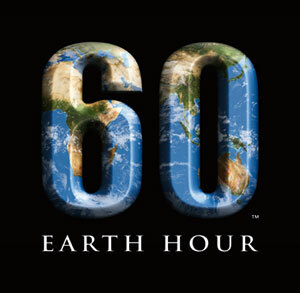 To show support for the WWF’s Earth Hour 2012 initiative, Western’s Facilities Management Division participates in Earth Hour by asking the campus to turn out non-essential lighting. Facilities Management asked weekend caretaking staff to switch off all non-essential lighting as they performed their duties on campus. Faculty, staff, and students were also encouraged to turn off lights and unplug electronics on Friday before they left campus for the weekend. Housing Services also looked to the residences to help making Western's Earth Hour a successful event. As most staff and faculty will be shutting lights off in their own dwellings, the thousands of students that call campus home during the academic year were also asked to contribute to Western’s conservation effort. This past year, Earth Hour was a huge success reaching over 1.8 billion people in more than 5,200 cities. In Canada, over 10 million Canadians and thousands of businesses participated in more than 275 cities across the country. At Western, energy savings were just above the Ontario average of 4% as we reduced our consumption by 6% equaling about 700 kW.